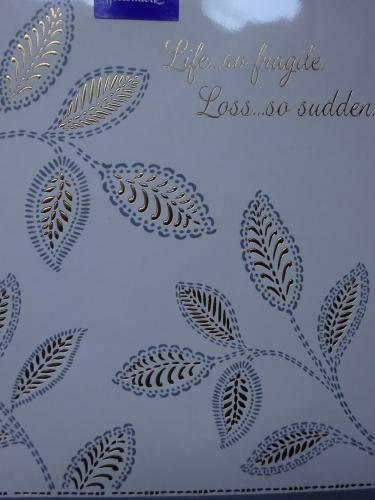 This lovely card is finished with gold foil detail. The words inside read "It's never easy for those left behind, but when you lose someone so unexpectedly, it must be especially hard to accept. Please know you're being thought about at this difficult time... with deepest sympathy".